It seems that whilst the audio market has been heating up and consumers are no longer satisfied with putting any old crappy earbuds into their ears some companies have some strange ideas for the future of the headphone. For most people, that means they are upgrading in the pursuit of better sound. Some companies however, are out to produce some really off the wall style designs that stray from what many would consider the norm. With an ever more competitive environment in the portable audio world headphone manufactureres are trying all sorts of things to capture buyers attention. Some of these have a purpose, others are just outright terrible and you should be slapped if seen wearing them in public but a few are actually good as well. At Audiophile On we have seen great headphones, bad headphones and everything in between but these next few models stand out for just being plain wierd. Ever thought of how you could look more like a cat, listen to music and annoy all at the same time? Me neither but apparently Brookstone, the makers of the Wired Cat Headphones thought this was a great idea. 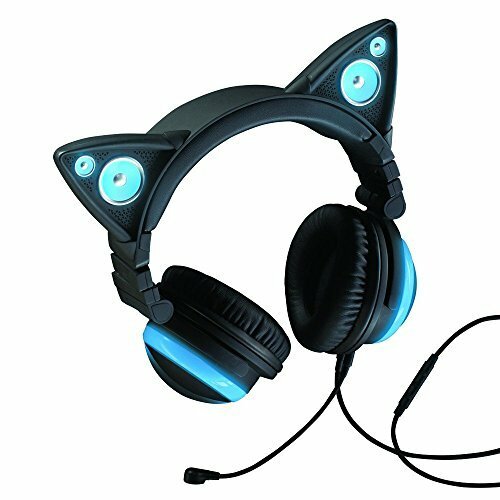 Not only are these the worst looking set of headphones I have ever seen but the fact they have a built in set of exposed diaphram speakers sticking out the top in the style of a set of cat ears makes them all the more ridiculous. They are every bit as impractical as they are daft looking but that's not all, they sound absolutely terrible and cost a whopping $130 USD. The only place that would be acceptable to wear these would be on a bridge in Harajuku but anywhere else is going to draw you some strange looks. A terrible headphone design with absolutely no redeeming features at all. Verdict: Expect to see them in a bargain bin somewhere soon. The Blue Lola from standout microphone manufacturer Blue made a lot of waves on its release. It is without a doubt the best sounding headphone on this list. A lot of people thought they were weird looking (and they definitely are) but then they heard them and were blown away. The pivoting swing arm and general exoskeleton style design will not be to everyones taste but if sound quality, comfortand solid build is your thing then these hit way beyond their current $249 price point. 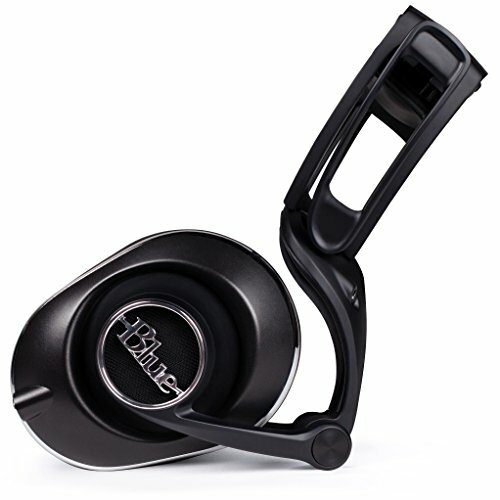 We are actually big fans of the Blue Lola Mo-fi headphones hear at audiophileone and its one of the headphones we use regularly in the office. Verdict: A funky looking design that works and sounds great. Novelty headphones are unfortunatley a thing and I couldn't think of a douchier set of earbuds than the bullet casing earbuds from Munito. That said as much as I want to hate on the 9's for their yeehaw design I still have to give credit where credit is due. 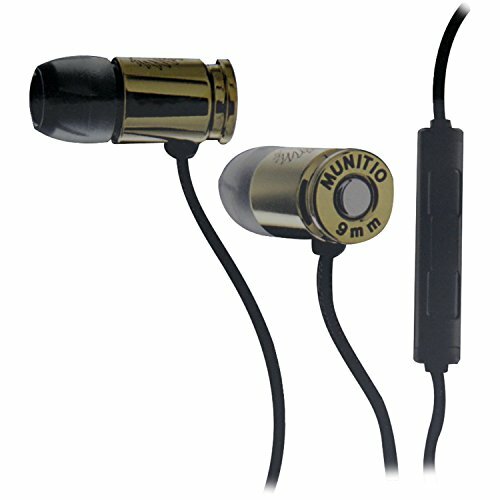 For the price Munitos flagship "tactical earphones" are very well built and have a very competitive sound in the sub $50 IEM market. The only thing i would be worried about is drawing the attention of the TSA when going through an airport. Verdict: Douche level 100 but a well made and good sounding earphone. Bone conduction technology is essentially a way of heading without your ears... kind of. It was something used by none other than Wolfgange Amadeus Mozart in the creation of his 9th symphony and is now available in headphone form for you today. Bone conduction has also been successful in allowing some deaf to hear again. That said, as a consumer technology, it still has a long way to go. Fist off the sound while surprisingly clear often lacks emphasis on the low end. Secondly, they sit over the bones on your upper jaw as opposed to over your ears. Most people will look at you and wonder what the hell you are wearing on your face. Verdict: A cool concept with practical uses but we will stick with normal in or on ear headphones for now. I'm happy to be the one to say it. Apple's wireless earbuds are not only weird but they ar also a complete waste of your money. We all knew it was coming, after all, the rumors have been swarming for over a year. But now that apple have actually gone ahead and removed the headphone jack from the iPhone 7 we are left with a few options. Use a crappy adapter and pay apple more money every time you lose is. Wait for a limited selection of lightning cable earphones to become available. 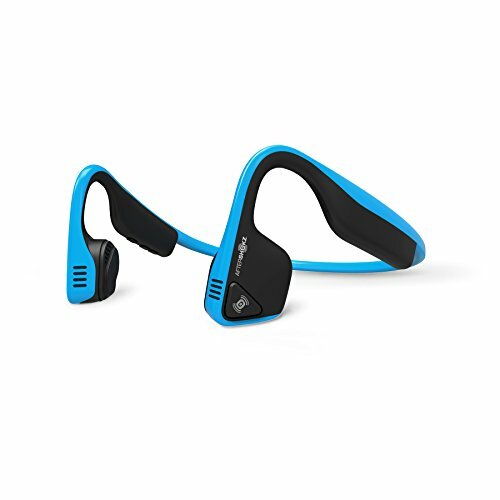 Buy a set of Bluetooth headphones. Apple's answer is, of course, to push the god awful Airpods on you and charge you over $150 for the displeasure. Whats so bad about them? Well on the weird side we have the fact that they make you look like your ears have a runny nose thanks to the protruding pole on them. Then there is the fact that battery life is about 4 hours, not great for those taking flights etc. But the one thing that is an absolute slap in the face to apple fans like myself is something I see very few people mentioning. By all accounts, they are still the same apple earpods on the inside and still sound exactly the same, if not worse, than their original. $150 for something that sounds worse that a $10 set of earphones and I only get to listen to them for 4 hours. No thanks Tim, Im off to Android for now. Verdict: A welcome jump in technology terribly excecuted. Stay well clear. So what your pick of the weirdest headphones currently on the market? Have we missed anything? Let us know in the comments down bellow and we can add it to the list.